A free zone co-built with China in construction at the Gwadar port in Pakistan. Picture by Xinhua/Sipa USA. All rights reserved. 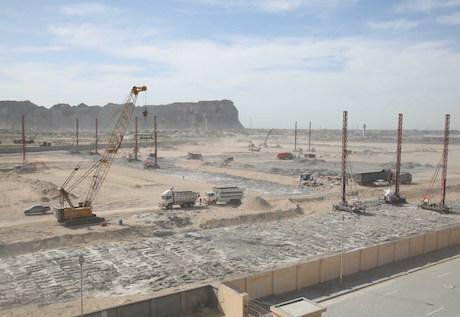 Many economic analysts believe that Gwadar is another Dubai emerging on the world’s map. The controversial issue here is that an economically powerful Gwadar threatens the strategic influence of Dubai in the region. This challenging point, recently, has caused a silent economic war in the Gulf of Oman between two groups of countries. Pakistan, China and Qatar on one side. India and the UAE on the other.